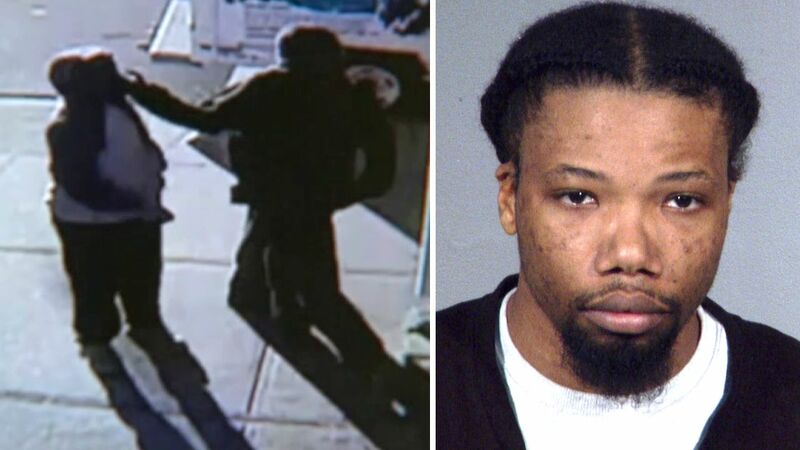 JAMAICA, Queens (WABC) -- Police say the man who was caught on camera smacking and knocking out a grandmother outside a Queens deli has been arrested Monday. The NYPD said 28-year-old Richard Springer, who also goes by the name "Kwasi," was picked up Monday morning. He's facing robbery and assault charges. According to police, Springer walked up to Eve Gentillon outside the Sutphin King Deli on Sutphin Boulevard in Jamaica and hit her in the head one time with a closed fist. The attack happened Oct. 15 at about 8 a.m. The 69-year-old grandmother was knocked out cold after she fell to the sidewalk. Onlookers kept walking as she was lying on the ground. Gentillon was taken to the hospital, where doctors discovered she had a brain hemorrhage -- a severe head injury. She was later listed in stable condition. Police said Springer fled the area. He was taken to the 103rd Precinct for processing after his arrest.